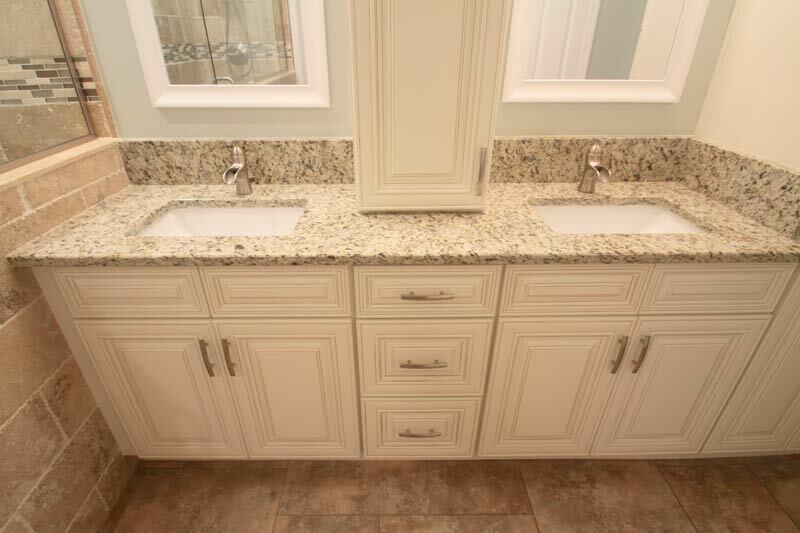 Our Cape Coral client's bathroom remodeling project featured dual sinks and cabinets. 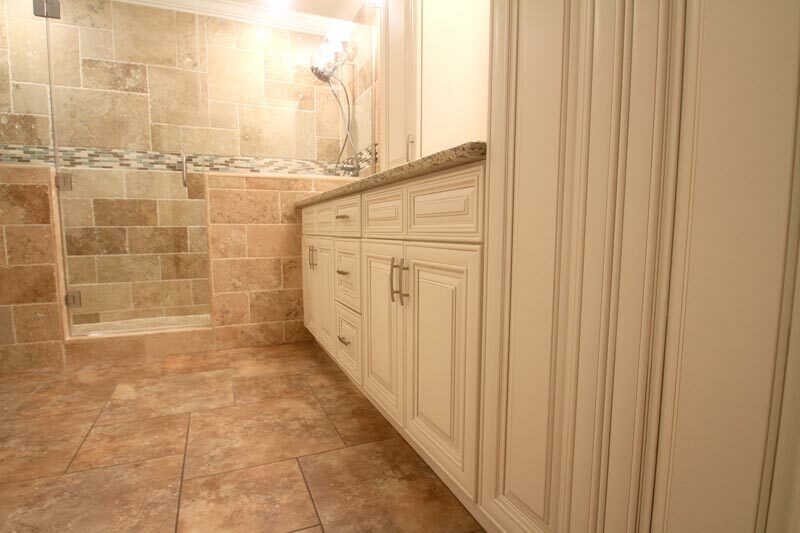 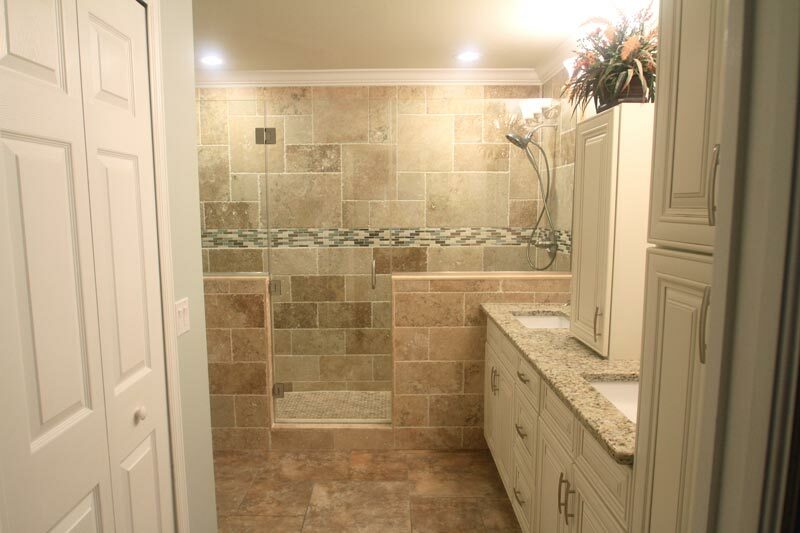 Completed master bathroom remodel in Cape Coral, Fl. 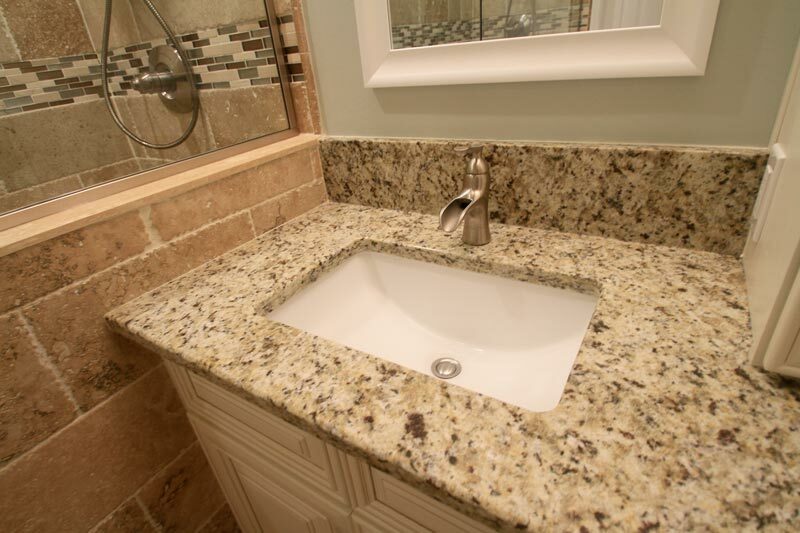 Granite countertops and under-mount sinks. 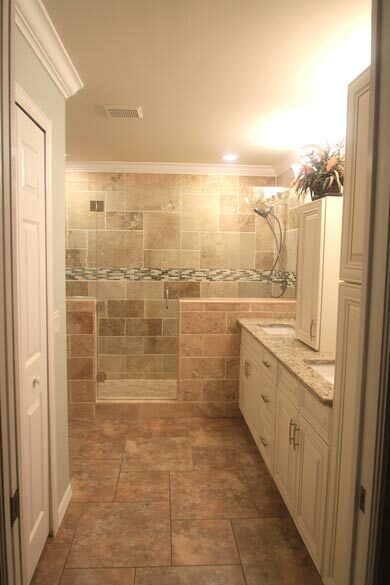 Newly installed porcelain tile floor in our client's bathroom remodel. 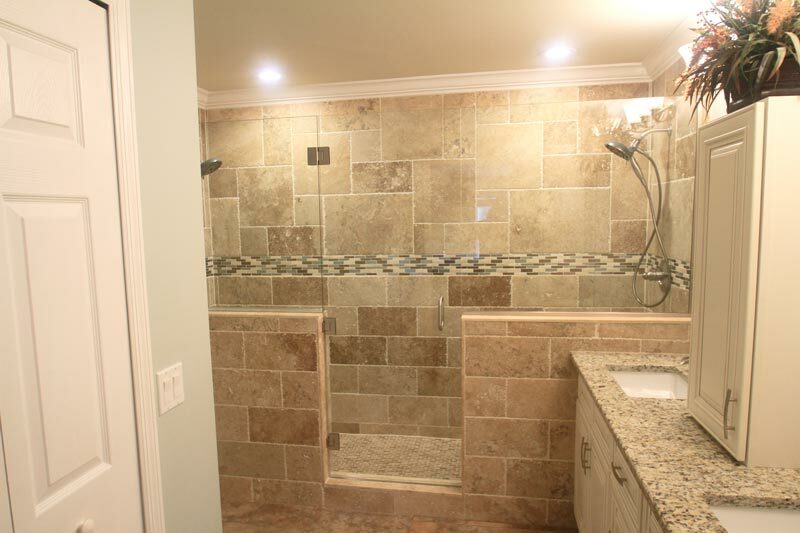 Accent lighting makes the bathroom functional. 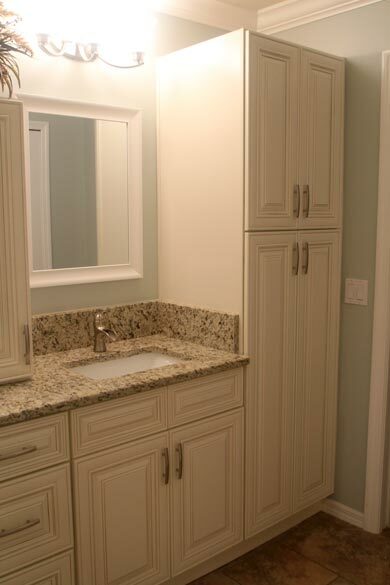 Newly installed mirrors over bathroom sinks. 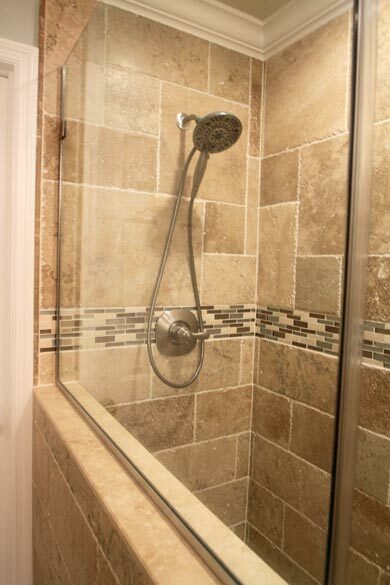 Shower stall is accented with glass. 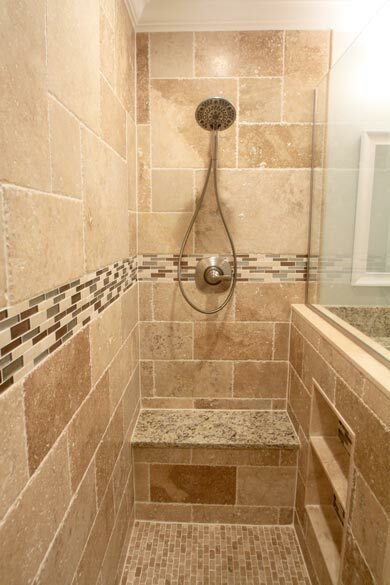 Dual shower heads accent each end of this shower. 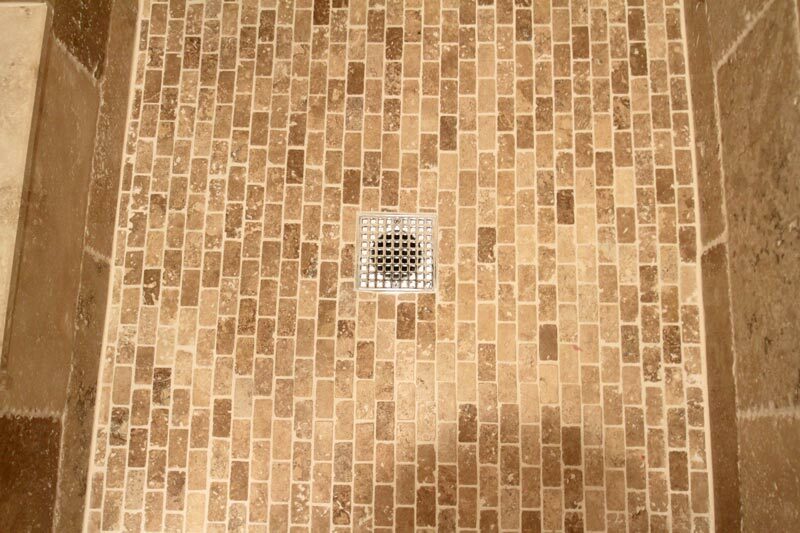 Chisel-edged travetine tile is the highlight of our cient's shower with glass mosaic tile border. 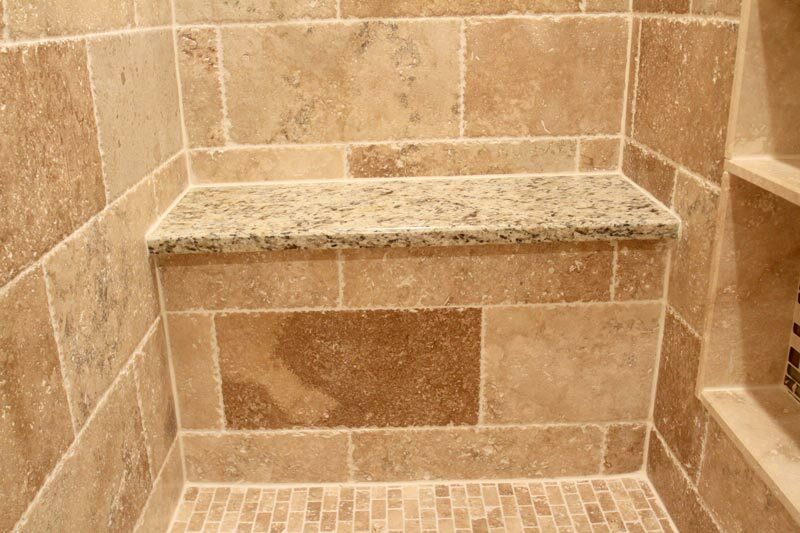 Coordinating granite accents the shower bench. 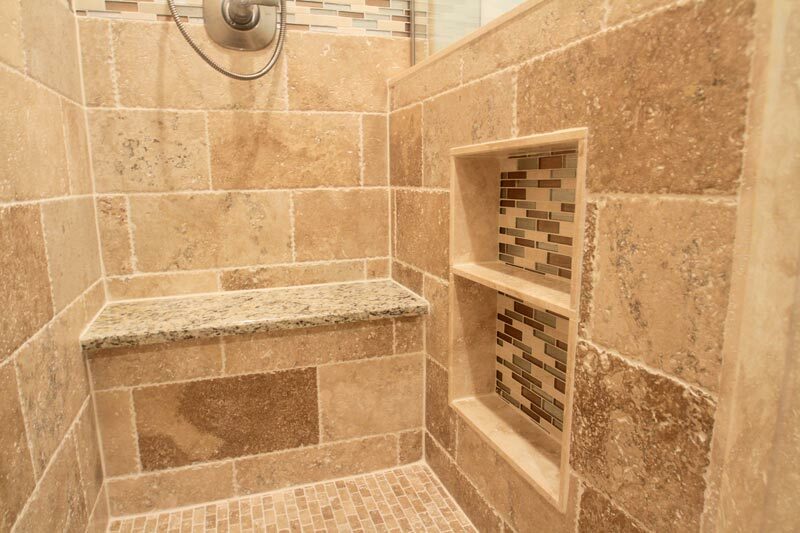 On this bathroom remodeling project, we installed a shower bench and shower cubby to hold bathroom essentials. 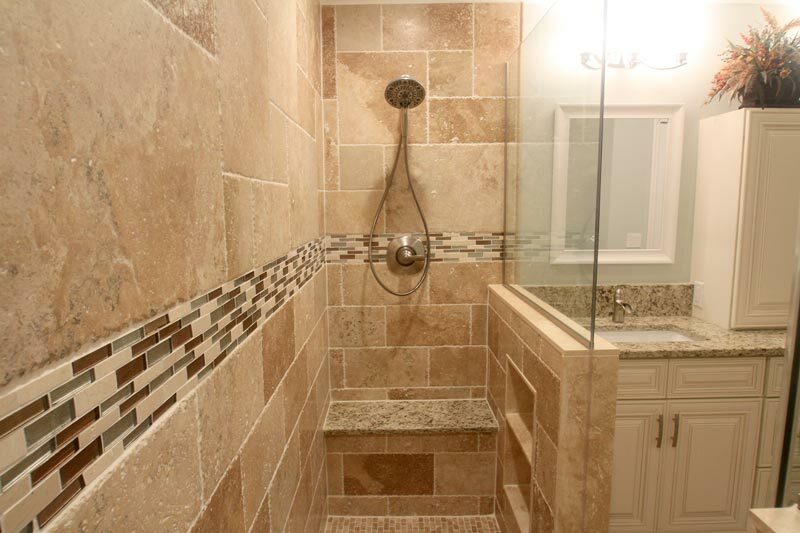 Shower stall with travetine tile flooring.